At the end of 1961, David Aerni and George Taunton start managing local band The Tornadoes. Early 1962 they decide that it's time to start writing original material. 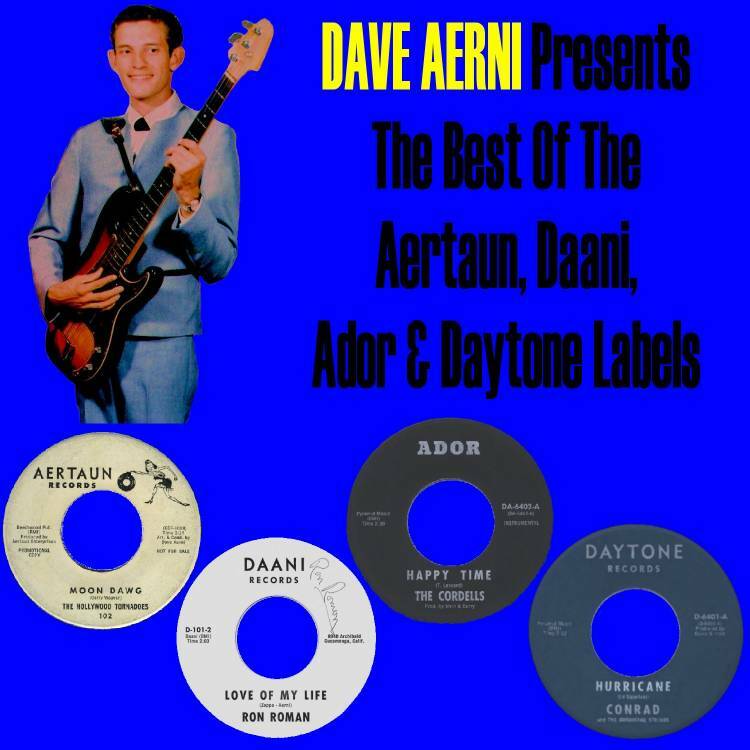 'Bustin Surfboards' and Aerni's 'Beyond The Surf' are recorded at Bill Nocy's studio in Riverside Airport, and one week later their first 7" on the Aertaun label is issued (aertaun = aer(ni) + taun(ton)). 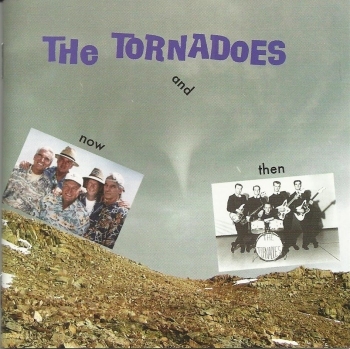 December 1962, the band releases their second 7", but as the Hollywood Tornadoes. This, to avoid confusion with a British band with the same name. The same month, Aerni sends the band to the Zappa / Buff Pal recording studio in Cucamonga to record 'Moon Dawg' and 'The Inebriated Surfer'. Both tracks were engineerd by Frank Zappa. The single is released february 1963. 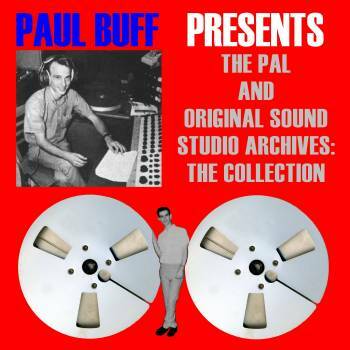 December 1963 sees the release of 'Shootin' Beavers', also recorded at Pal, but censorship boycots radio airplay. In the year 2000, Sundazed Records releases 'The Swag' and 'Raw-Hide' on 7". Both tracks were engineered by Zappa at Pal in 1962! 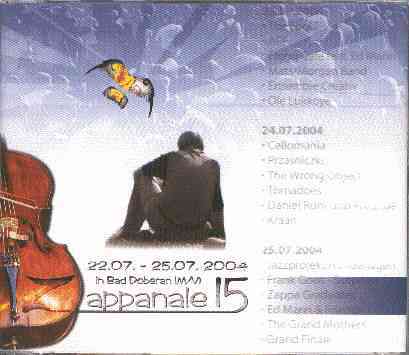 July 2004, the band took part in the Zappanale festival, performing a bunch of classic surf compositions, including the Zappa written 'Grunion Run'. 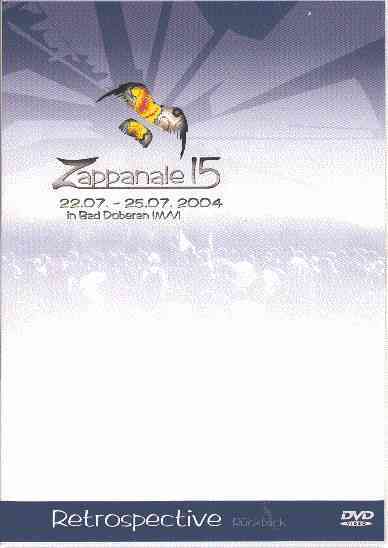 Part of the concert got released on the "Zappanale # 15" album and on their "Now And Then" album. 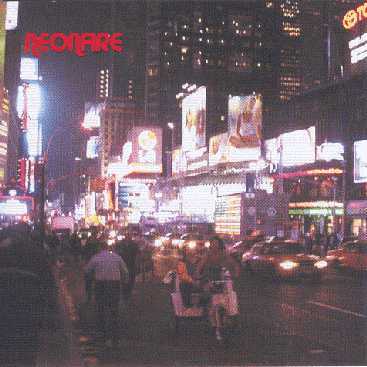 The band also contributed to Greg Russo's Neonfire album. The Tornadoes' version of The Fireballs' "Vaquero" is just as good as the original version. Written by Fireballs guitarist George Tomsco with Norman Petty's name added for publishing purposes, "Vaquero" is a classic instrumental performance by both bands. 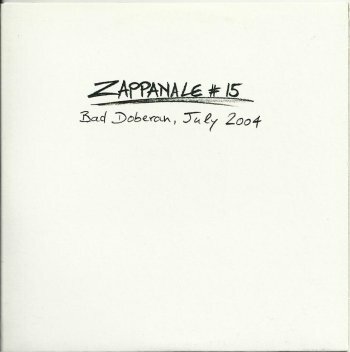 The Tornadoes' version was produced by Dave Aerni and engineered by Frank Zappa. 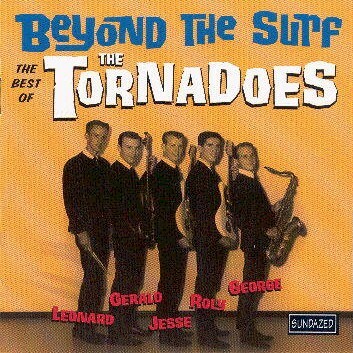 "Dave Aerni wrote "The Tornado" for his management client The Tornadoes, who recorded it as a drum showcase for Leonard Delaney. It was engineered by Frank Zappa." "The Gamblers, featuring lead guitarist/writer Derry Weaver and future Mothers Of Invention rhythm guitarist Elliot Ingber, recorded the original version of "Moon Dawg." 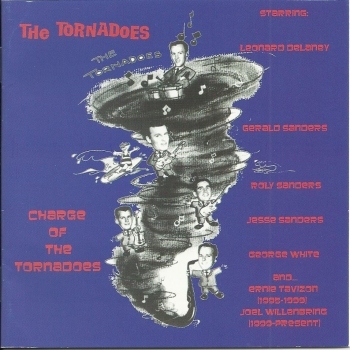 The Tornadoes turned in one of the very best cover versions ever done, and Frank Zappa engineered and unofficially produced the recording at Pal. "Moon Dawg" is considered a precursor of the surf sound." "During their first visit to Pal Studios in late 1962, The Tornadoes cut two tracks with Frank Zappa engineering. One was "Raw-Hide" and the other was this volume's "The Swag," and both were Link Wray staples. Roly Sanders' guitar playing on "The Swag" made his career highlight reel!" "Besides surf tunes, The Tornadoes also covered other ground. This volume includes their unique versions of "Bumble Bee Stomp" (based on "The Flight Of The Bumble Bee") and Chuck Berry's "Johnny B. Goode." Both were engineered by Frank Zappa. The Tornadoes were joined on these tracks by 15-year-old keyboard player Larry Flahive." 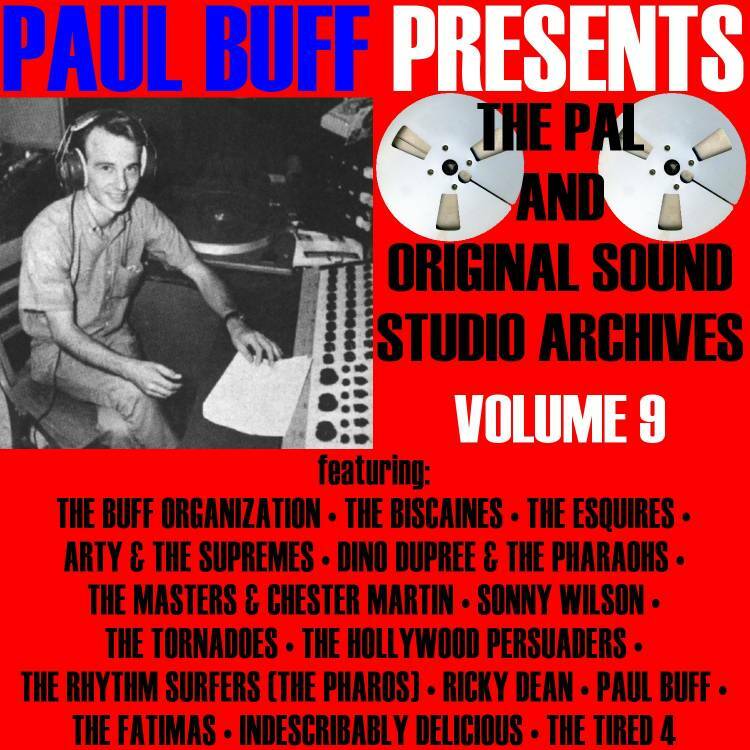 "The Tornadoes kick off our last volume with their incorporation of the songs "Malaguena" and "Dark Eyes" into one nice package. It was engineered at Pal by Frank Zappa."